She rings up her boss and asks for a paid day off from work, they say YES! This is very good because Rosabelle is in a really foul mood at this point. Rosabelle needs to raise her fun need so she decides to play Sims Forever on her computer! Now she can actually use her computer at home and benefit from it’s inspiring emotional aura. She sits down at her new table in her new chair to try her computer for the first time! OMG! 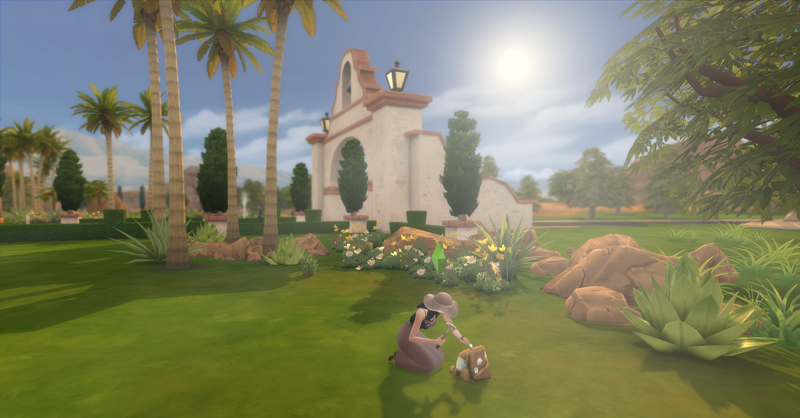 Rosabella’s sims are having a fire… oh the irony. 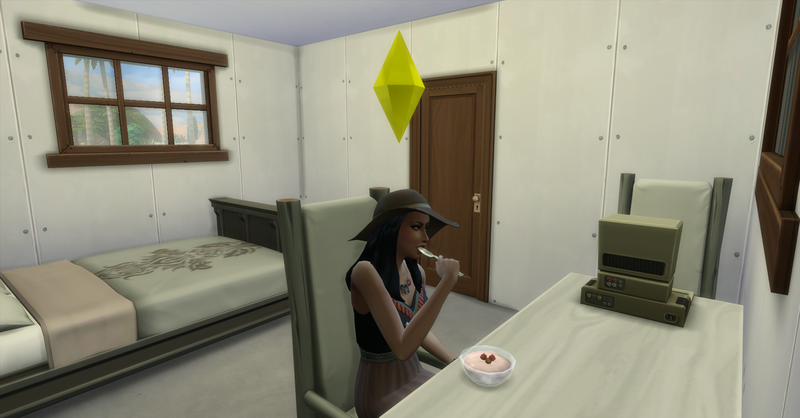 Rosabelle is feeling much more amused and she is hungry so she has her first meal of yogurt in her new house! After she finishes eating she begins a poetry book called “Celestial Pillow Fight”. Maybe it’s inspired by her first night in her house. Rosabelle finishes writing her poetry book as well as her work task to write books. 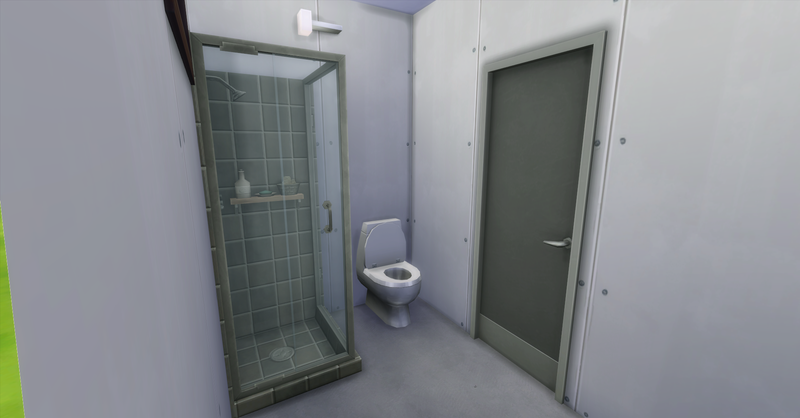 She is now level 5 writing and she has to pee, so she gets to use the new bathroom again. 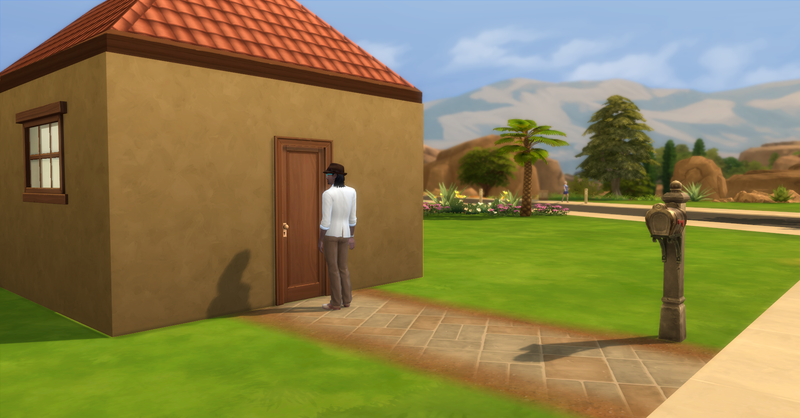 While she is using the bathroom someone actually comes by to visit, I guess when you get a door, you get a doorbell and visitors to go with it. It’s Rosabelle’s old flirt, Philip Montgomery, who got bored of her but she is much to busy to answer the door to him. 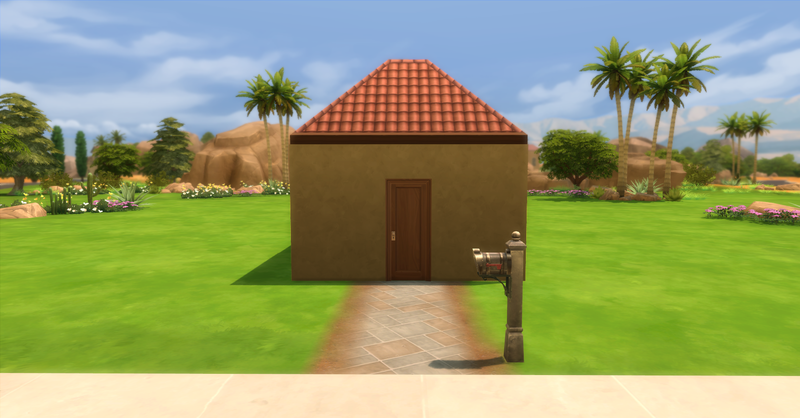 Here is a little tour of Rosabelle’s new house. 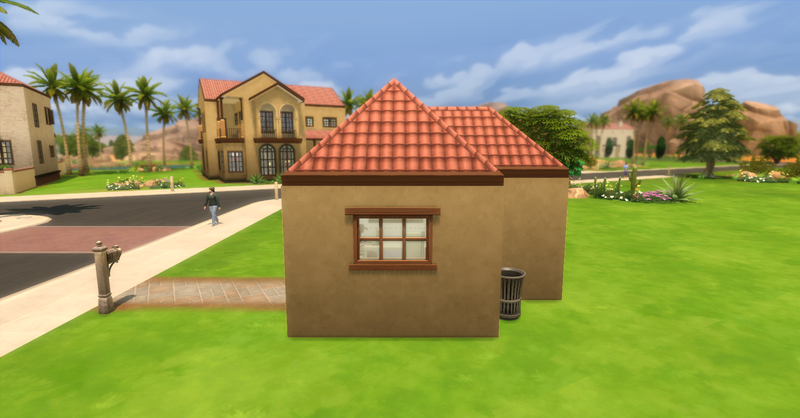 The builder in me could not stand to leave the outside unfinished, but the interior has no wall paint or flooring. 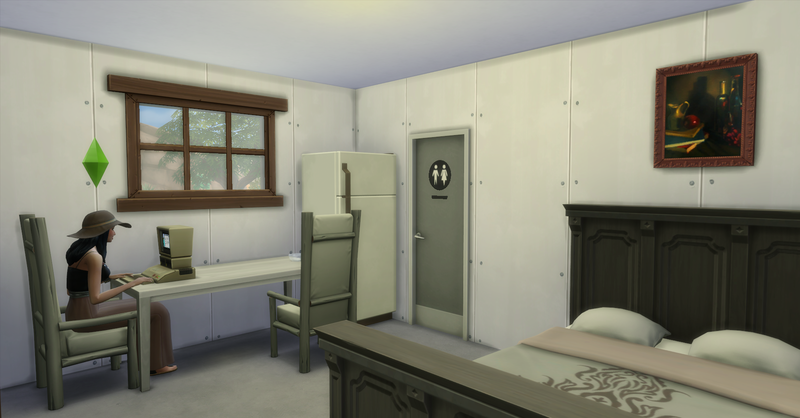 You all have already seen most of the living/dining/sleeping area earlier today but I will show you what the tiny bathroom looks like as well. Rosabelle will be going collecting around Skyward Palms today. She prepares by getting a snack and taking a nap. After Rosabelle wakes up, she immediately sends her book off to her publisher so it can start earning royalties every day. Then she starts her collecting circuit of the neighborhood. She digs up an uncommon Shinolite cystal worth §75 by the entrance way. 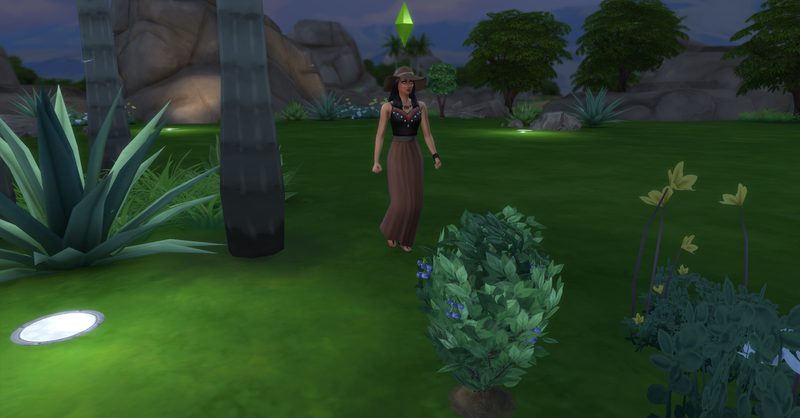 And Rosabelle finishes collecting everything with her needs all in the green for the first time ever! 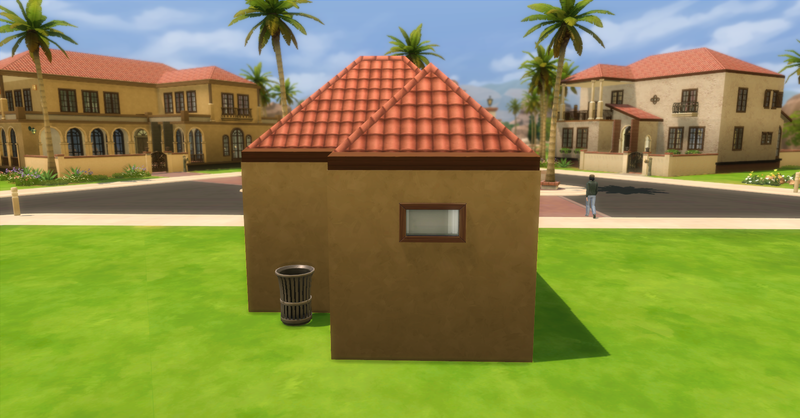 It must be the nice new house. 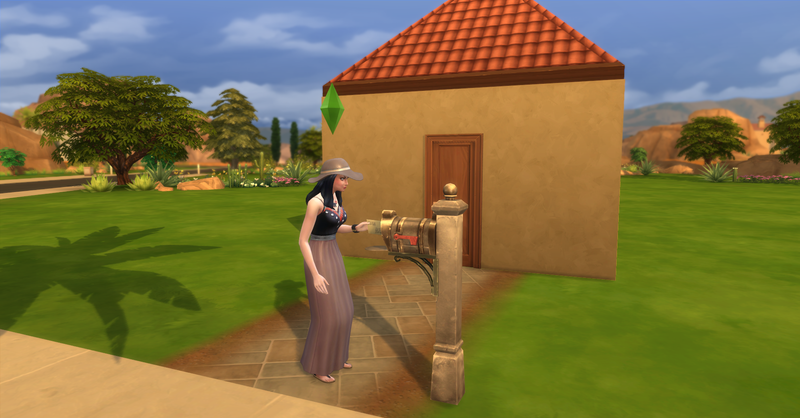 While she is out collecting she receives her pay for her vacation day, it’s §304 simoleons. When Rosabelle gets home, she grabs a quick snack and then goes to bed afterwards. Check back soon for Week 2: Day 11 of our Challenge!